House facades are also a matter of some pride of course. Doors, windows and balconies are usually well kept, repainted whenever the need arises, and subject to a thorough cleaning and polishing when festa time comes round. 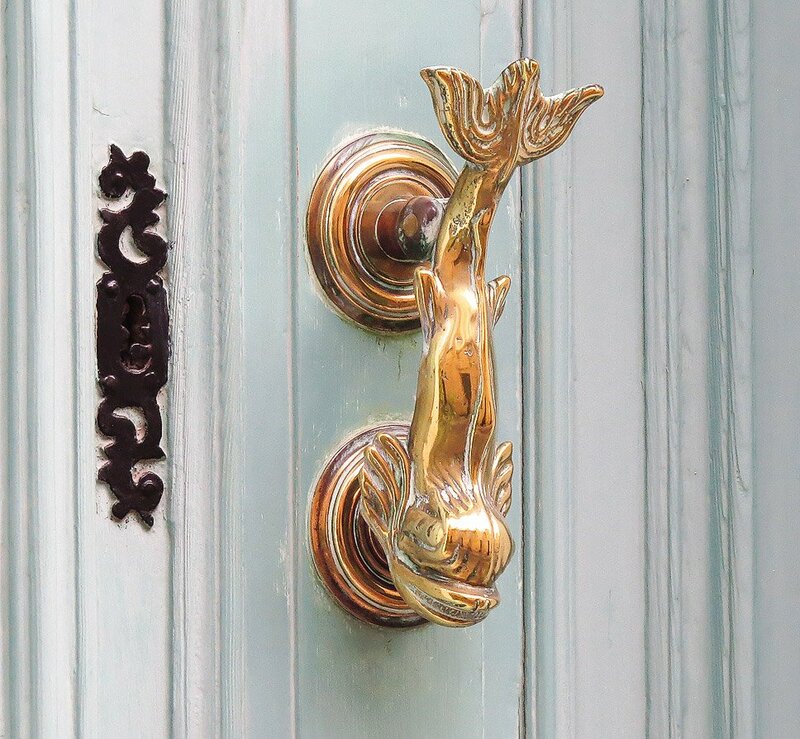 But perhaps the one area where house owners can show off their individuality is in the choice of door knockers – in Maltese referred to as ‘habbata. 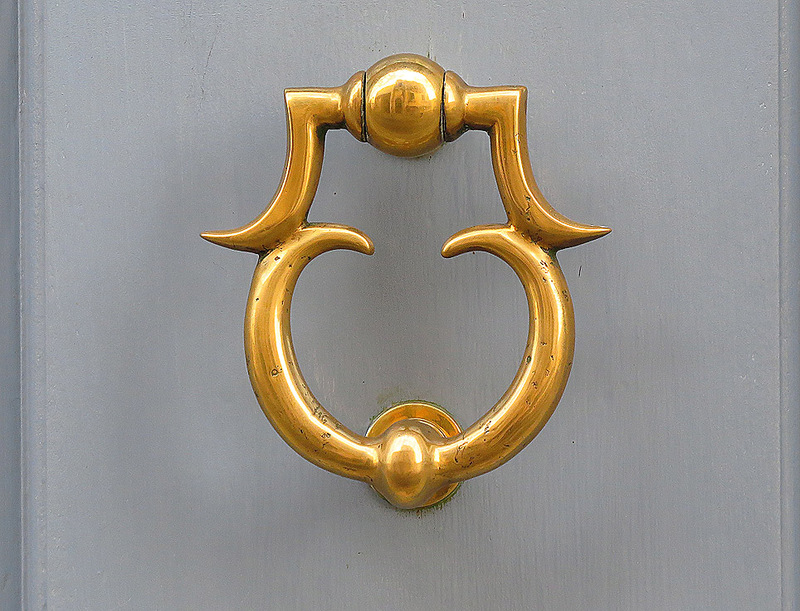 Door knockers, essentially little more than a decoration nowadays, were of course an essential house façade element before the arrival of electric door bells – the metal on metal banging was sure to resonate around the house to signal the arrival of anyone wishing to gain entry. Though most houses will have door bells nowadays, a surprisingly large number of old (and not so old) door knockers still grace the doors of Malta’s houses. Among the most popular are dolphin motifs – perhaps a nod to Malta’s first post-Independence coat of arms which featured a stylized pair of these graceful creatures. 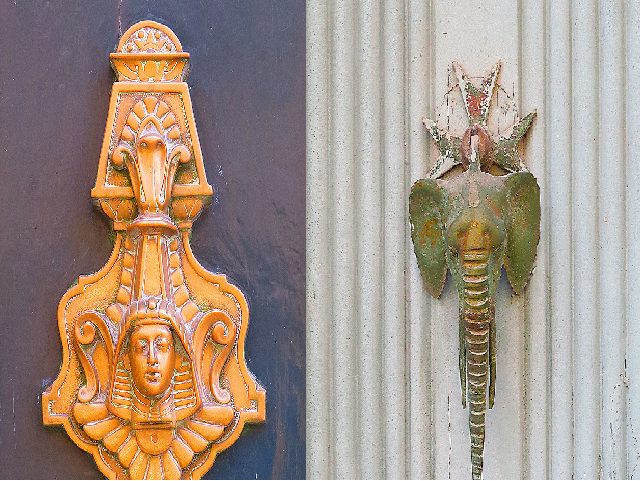 Stylized faces are also a common feature of door knockers as are classical miniature figures and puffy faced angels. On a casual stroll through Attard and Lija recently, I decided to actually take some notice of these knockers – a small pleasure denied to the more hurried passer-by. There is a true wealth of them and I found a few surprises too: a pair of knockers with ancient Egyptian motifs with what looks like a Pharaonic head in the centre, and curiously enough a pair of elephants’ heads too! Invariably there are also ones with mythical figures, and plenty more with the traditional Maltese eight-pointed cross. Where knockers are absent it is normal for door handles – known locally as ‘pumi’ – to be in place. These tend to be more functional and less elaborate but add to the street charm nevertheless. 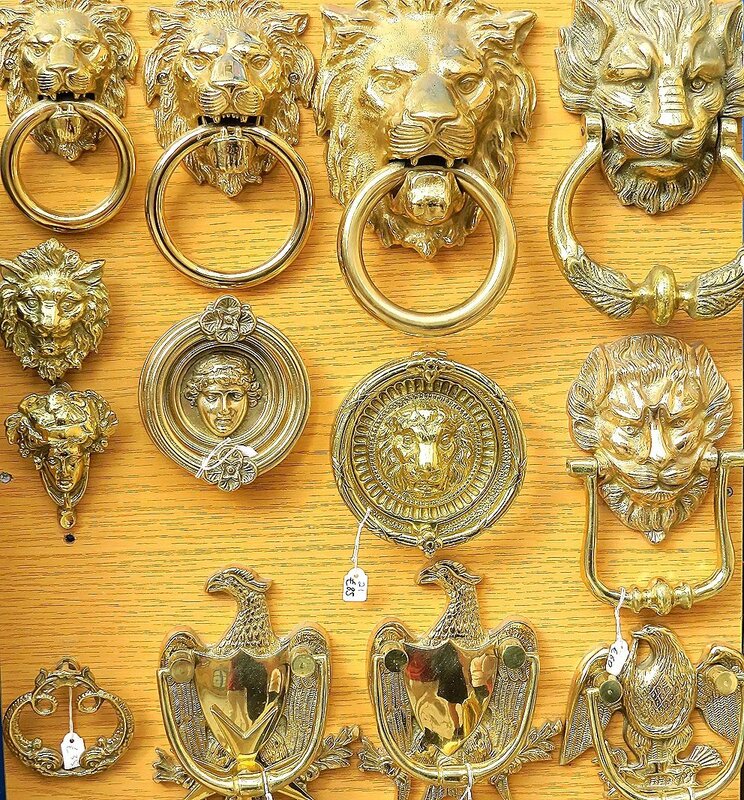 Both the door handles and a good sample of door knockers are still manufactured and you will find a selection in some of the souvenir oriented outlets of Valletta and Mdina as well as the Crafts Village at Ta Qali – where a few of them are actually made in situ. What better memento of Malta to take back with you? I have an elephant one purchased many years ago in Malta. Now kept as a souvenir, too heavy for my modern door.